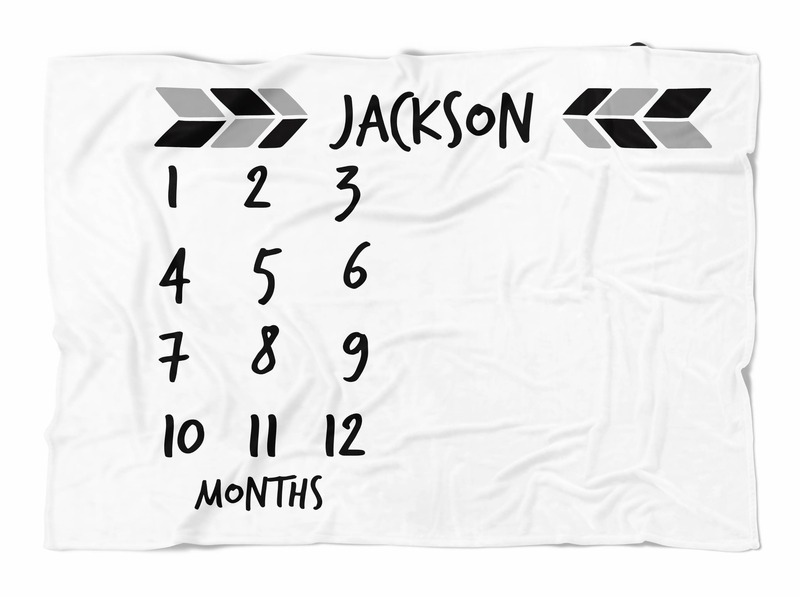 Personalized monthly baby blanket with black and white arrows! Document your child's growth in a creative way every month! 2. Leave name EXACTLY as you would like it to appear in notes to seller or put “no name”. We will copy your EXACT text including capitalization. If you would like a proof please let us know in the notes to seller. If a proof is requested production will not start until you approve. •Design is professionally printed on the material, back is white. 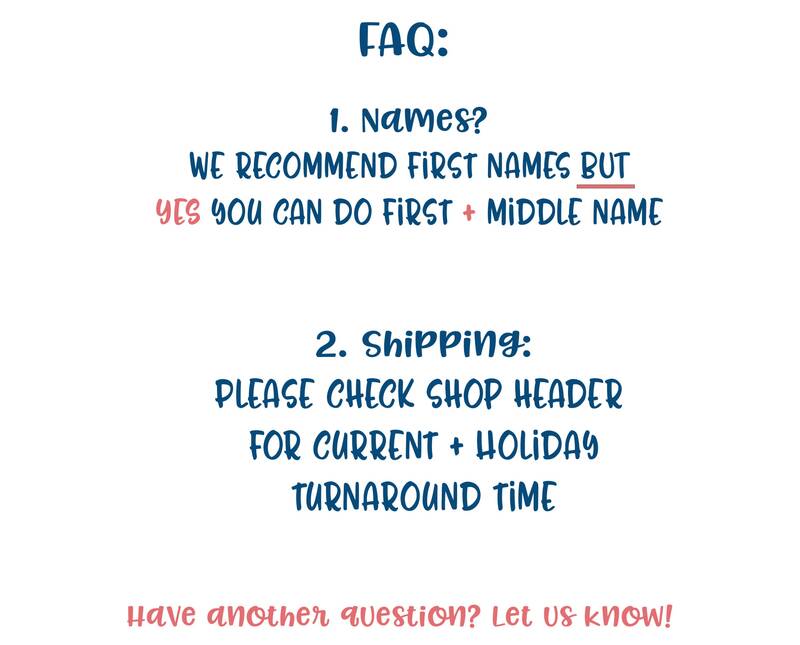 ♥ Please allow 7-10 business days for us to make your custom order. ♥ In a Rush? 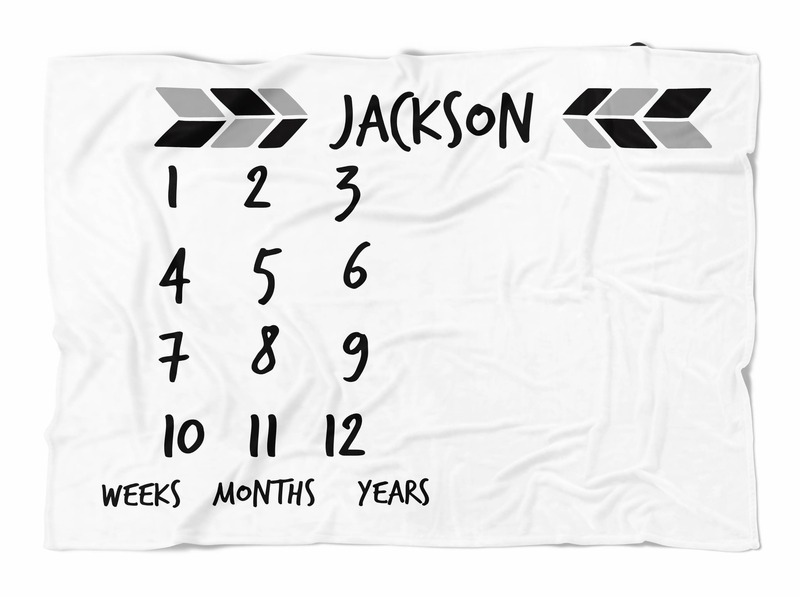 If you need your blanket quicker select “Rush Shipping” at checkout. Such great quality! Great keepsake!